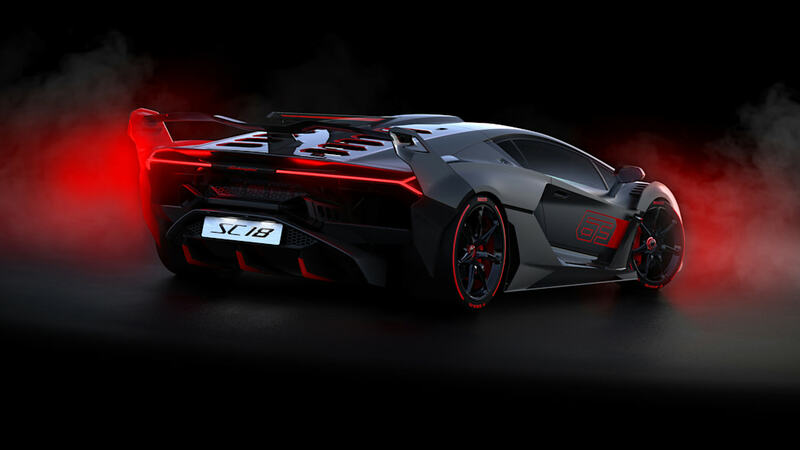 The Lamborghini SC18 Alston, a road-going track car based on the Aventador SVJ. 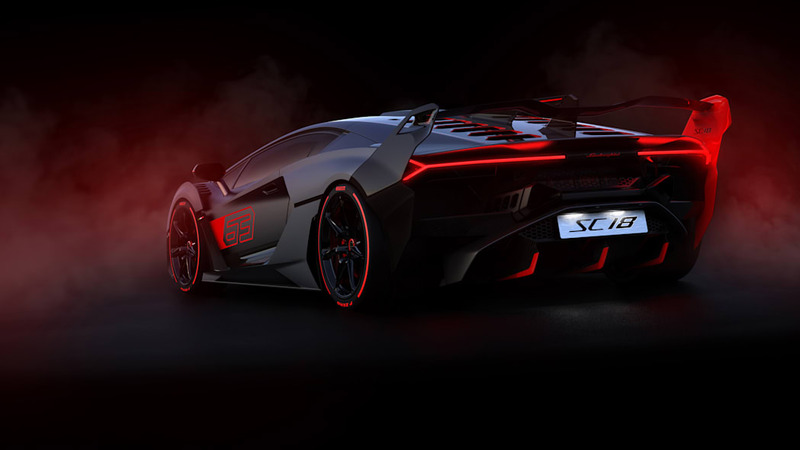 This is the first one-off produced by the automaker's Squadra Corse racing division as a customer commission. 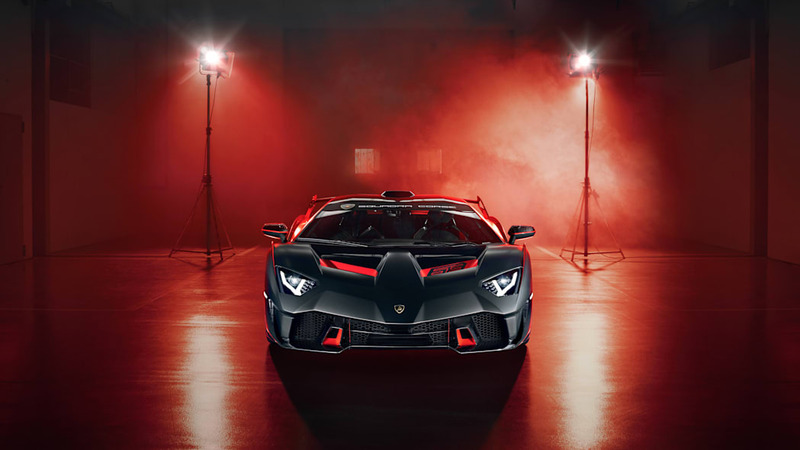 Lamborghini has worked up a number of limited-editions and one-offs over the past decade, from the run-of-20 Veneno to the one-of-one Egoista and Aventador J. The standard production-car division worked up those previous efforts. 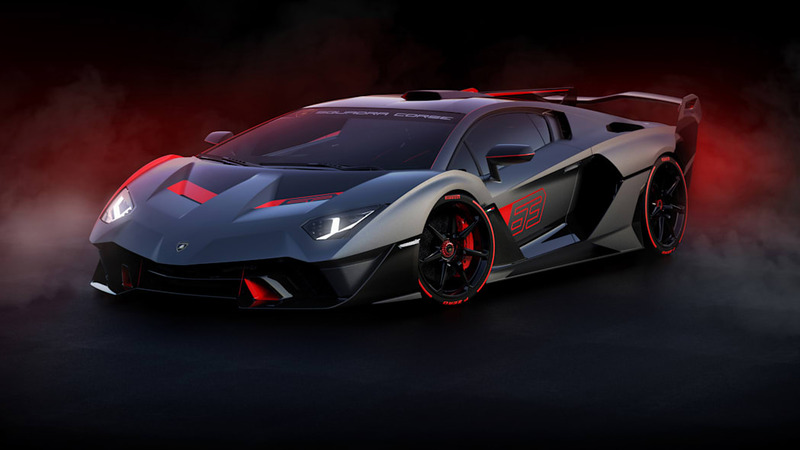 Now, Lamborghini's racing division, Squadra Corse, has dreamed up a one-off for the first time as a commission for a client. 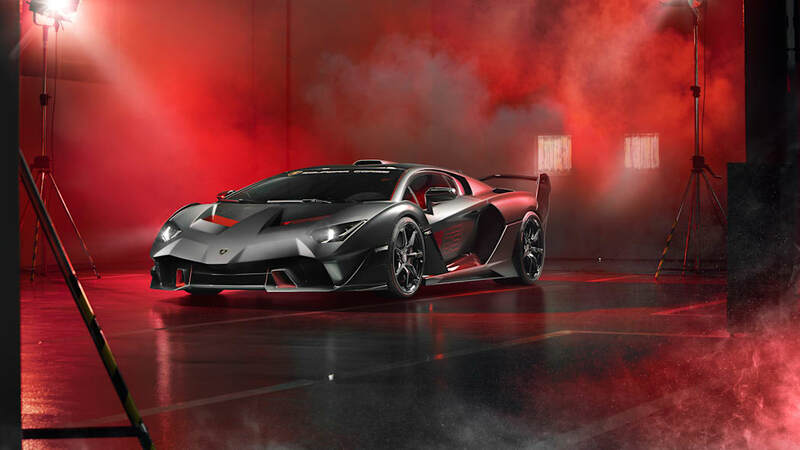 Called the SC18 Alston, the Aventador-based coupe starts at the marker laid down by the SVJ and takes a few barbarous steps beyond. 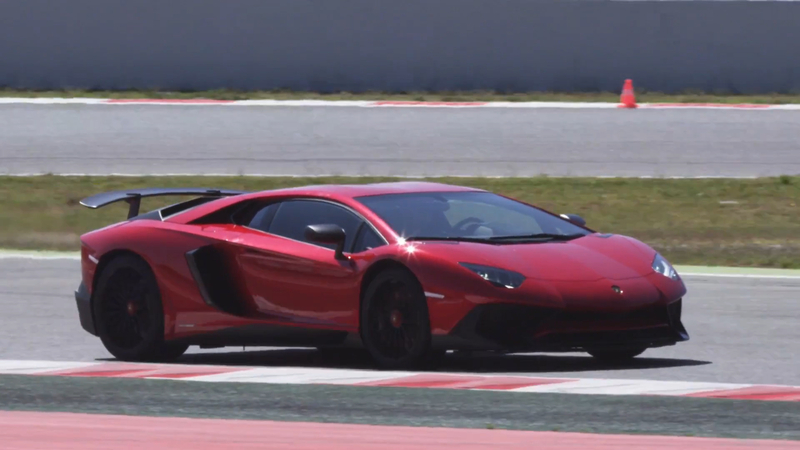 The point, apparently, was a road-going car with maximum track performance. 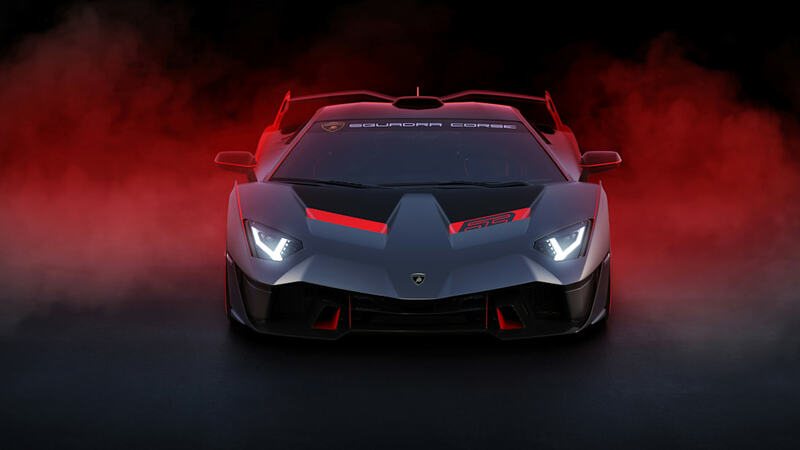 Squadra Corse designers, working with the customer and Lamborghini Centro Stile, penned an aero package that borrows elements from Huracán race cars. 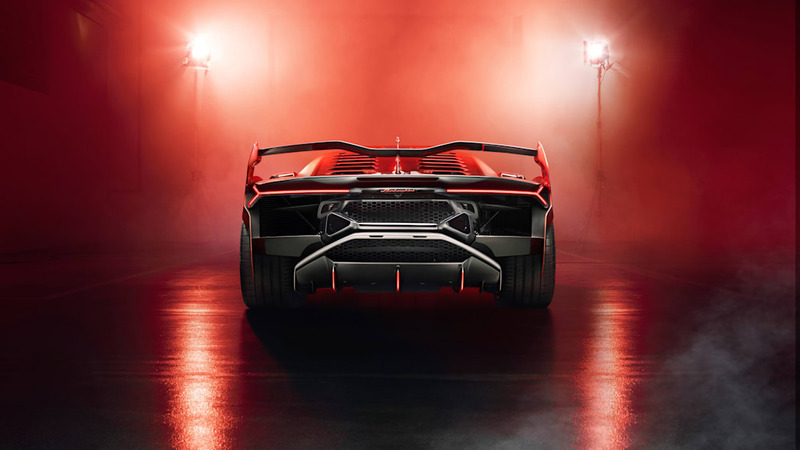 The front hood air intakes were derived from the Huracán GT3 EVO, while the side and rear fenders, the fins and the scoops take inspiration from the Huracán Super Trofeo EVO. 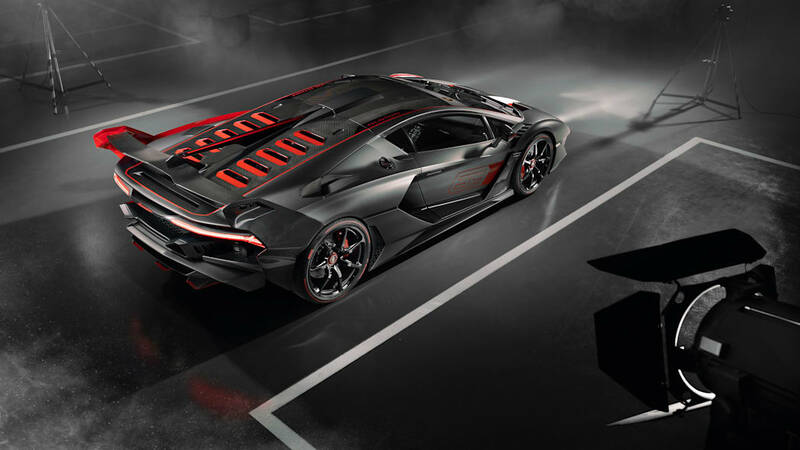 The three-stanchion wing hearkens to the Veneno, the rear taillight pattern and valance curve reference the Centenario, and the way the rear wing endplates rise from the fenders suggests the Bugatti Vision GT. The power unit comes untouched from the Aventador SVJ, meaning a 6.5-liter V12 with 759 horsepower and 531 pound-feet of torque, shifting through the seven-speed ISR gearbox. An engine cover with 12 vents, also derived from the racing programs, keeps the fury cool, and a new exhaust design produces a new sound. Lighter carbon fiber bodywork drenched in Grigio Daytona hides the internals and reduces weight. Screenprinted red accents on the body panels coordinate with accents on the center-lock wheels — 20 inches in front, 20 in back — and specially developed Pirelli P Zero tires. The cabin's been dressed in Nero Ade Alcantara with red cross-stitching, and a pair of carbon fiber buckets. There's nothing not to like here, and we suspect this won't be the last unique effort we see from the Squadra Corse brand.